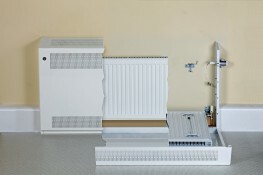 Contour aims to reduce absenteeism with our range of DeepClean radiators, which are optimised for safe surface temperatures and hygiene. 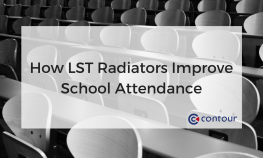 In our last blog post, we discussed how Contour’s DeepClean LST radiators and radiator covers improve hygiene in schools. In this post, we will explain how our DeepClean range reduces absenteeism in schools and maximises the wellbeing of children using BioCote® antimicrobial technology, which reduces bacteria by up to 99.9%. The low surface temperature of our radiators and cleanliness of our covers work together to improve hygiene across schools, with the aim of reducing illness. School absenteeism reduces in direct correlation with improvements in hygiene.